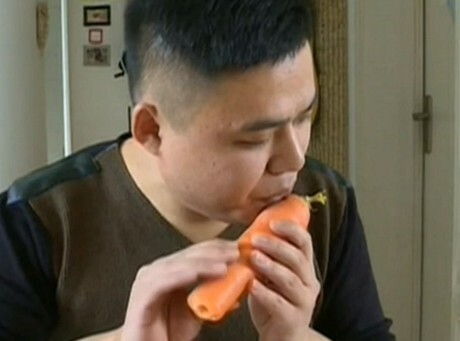 A Chinese inventor has trumpeted his ability to carve musical instruments from potatoes, cucumbers and carrots. The unusual musician has also turned furniture, lights and bike parts into instruments. The creator boasted his musical prowess by playing a carrot as a flute, and a potato as a recorder. Click here for a short clip.